Feel something spooky in the air? 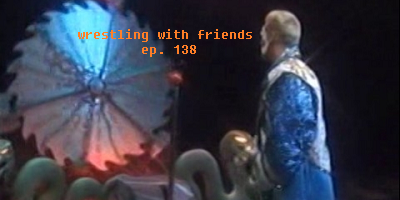 It's not that burrito you had last night...it's a new episode of Wrestling With Friends! We're going where no one else will dare this week...back to 1992! And the WCW pay-per-view, Halloween Havoc, for our Pay-Per-RE-View! It's a fun title, but is there anything fun about this PPV? Or will the friends spin the wheel and make a deal to never watch this trash again? Tune in for our expert analysis!